We’re very much looking forward to a familiar face returning to Sheffield this Christmas, and that’s our own former pupil Matthew Croke! Matt has secured his place in Sheffield Theatres‘ Christmas musical, Annie Get Your Gun, which will be performed on the Crucible stage 9 December 2016-14 January 2017. Rehearsals begin in the autumn and in the meantime Matt has been finishing up his run as the lead in Singin’ in the Rain. To find out more about Matthew, please click here. Former Pupil Matt Croke appearing as Don Lockwood in Singin in the Rain. Many congratulations to our student teachers Molly Barrowclough, Elle Longden-Lyons and Charlotte Stones for passing their Theatre Craft teaching exam at Pre-Associate Part 2 level! The girls passed the part 1 of their exam last year and we are thrilled to see them progress with flying colours. Well done ladies! We’re looking forward to getting back into the swing of things tomorrow, Monday 4th January, and would like to let you know that some class times have changed. Please note that all private lessons are not running the first week back, and will begin week commencing 11th January. Relive our magical trip to the perform just down the road from Sleeping Beauty’s castle… enjoy! We’re gonna need a bigger coach! A massive congratulations to the lovely Miss Bree Quinton for securing her place in the Grand Final of Miss Dance 2016 at a heat last night. Well done too to our Miss Bridie Thorpe who took the place of runner-up… it surely can’t be long now. 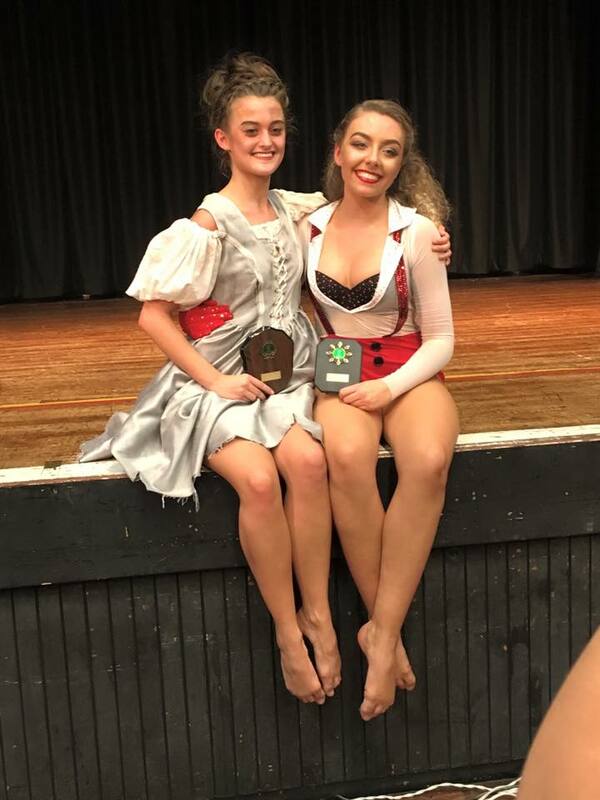 Alongside Rebecca, both girls performed at Blackpool’s iconic Winter Gardens earlier this year at Miss Dance 2015, a day that the whole dancing family will never forget. We now have two more young ladies competing for their place, so now we begin the countdown to making our Fabulous Five. Best of luck to Bridie, Alex & Charlotte in the coming heats, and another very heartfelt well done to Bree.